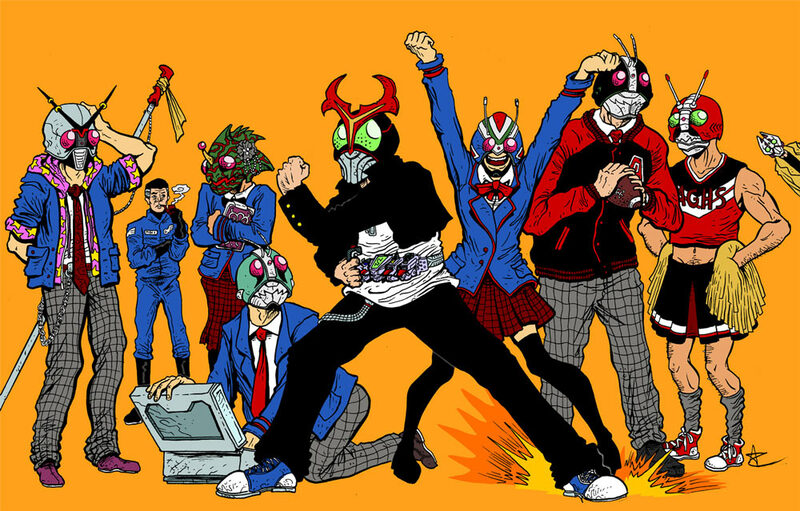 For those who don’t know, the names of the KRC members in “Kamen Rider Fourze” are references to the Legendary Seven. Well, actually I don’t think Gentaro is, but he did dress up in that cardboard Stronger outfit during “Megamax”, and he’s pretty bombastic as well. I’m actually surprised that no one else has done this (to my knowledge, at least). And of course, I had to do a little something for the obvious “Tachibana” reference and the fact that they got Hironari Amano to play Hayami.